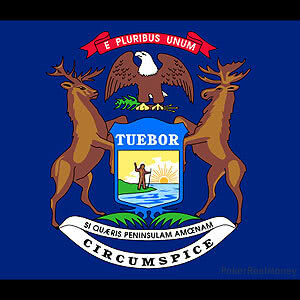 Residents of Michigan who were hoping to see online poker and gambling legislation approved by lawmakers in 2018 can likely put those hopes aside at least until 2019 after it was learned that the state’s native tribes are unhappy with language included in the new draft of an i-gaming bill. It appears that the latest sticking point is wording in the proposal stating that if federal legislation is ever enacted in the future that bans tribal casinos from hosting online gambling – but permits commercial casinos to do so – the tribes would feel slighted and have made it known that they want no part in such an arrangement. The Indian tribes insist that the bill should include a provision barring commercial casinos from having a seat at the table if the tribes are left out. The new bill was drafted by Michigan Rep. Brandt Iden, who explained that tribes and their right to operate casinos generally falls under the jurisdiction of the federal government. In that regard, state lawmakers would be virtually helpless if the feds stepped in and put the kibosh on the tribes’ participation in i-poker and i-gaming. Although the likelihood of such an occurrence where the tribes would be kicked to the curb in terms of offering online gambling is minimal at best, it’s a huge concern to tribal casino operators. The issue has stopped Iden’s newest proposal dead in its tracks, with the clock ticking on this year’s legislative session. That session is set to end on June 21, leaving only three weeks for a compromise that would get the ball rolling again to allow the House to vote on the matter. A companion bill in the Senate would also have to pass muster, with further delays in that legislative body certainly not out of the question. It was the Wolverine State’s commercial casinos that requested the current language in Iden’s bill that would let them continue with online gambling should the tribes be nixed. Removing that provision would likely be protested by the non-tribal casinos, but leaving it in would result in cries of “unfair” from the tribes – as it has already – so Iden’s hands are seemingly tied either way. It’s a shame that a resolution may not be found by June 21 considering that the stakeholders involved in online poker and gambling legislation have been engaged in meaningful talks that have resulted in a fair number of compromises. But this latest impasse is looking more and more like a dealbreaker. Michigan lawmakers have been serious about regulating i-gaming since last year, with Iden making the push in the House and Sen. Mike Kowall doing his part in the Senate. The Poker Players Alliance got involved as well, using whatever influence it has left despite a huge cutback in funding to persuade New Yorkers to get behind the proposal. It’s safe to assume that the tribes won’t not budge on this issue, as no one wants to be left out to dry in such a fashion. Whether the commercial casinos can agree to new language in an online gambling bill that eliminates the very provision that it requested to be inserted remains to be seen. Barring any movement in their stated positions, and with time running out in the current legislative session, it appears the refrain of “wait til next year” may come into play in the Great Lake State with regard to online poker and gambling legislation.